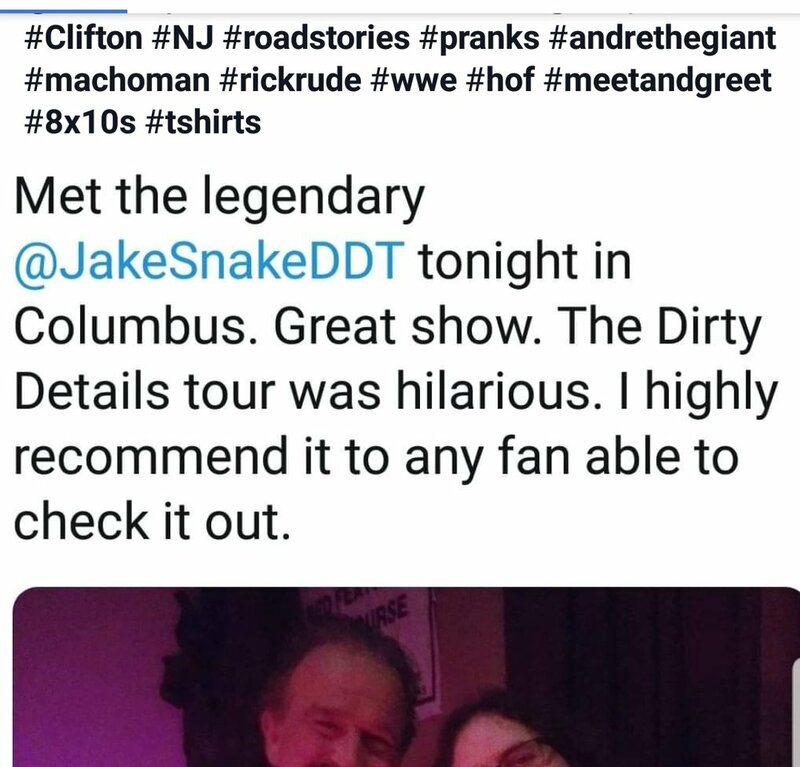 Tour — Jake "The Snake"
WWE Hall of Famer, Jake The Snake Robert's comedy style show, appropriately named Dirty Details Tour is hitting your town! Robert's unleashes his roadstories and pranks played on his opponents. Take a ride thru backstage and behind the scenes of your favorite matches. Macho Man, Andre the Giant, Hacksaw Jim Duggan and many more. Whether you are a wrestling fan or not, this one of a kind story teller will have you wrapped in his coils begging for more! Meet the man, and one of the biggest legends of WWE. Walk away with hysterical stories and a grin... Trust me!